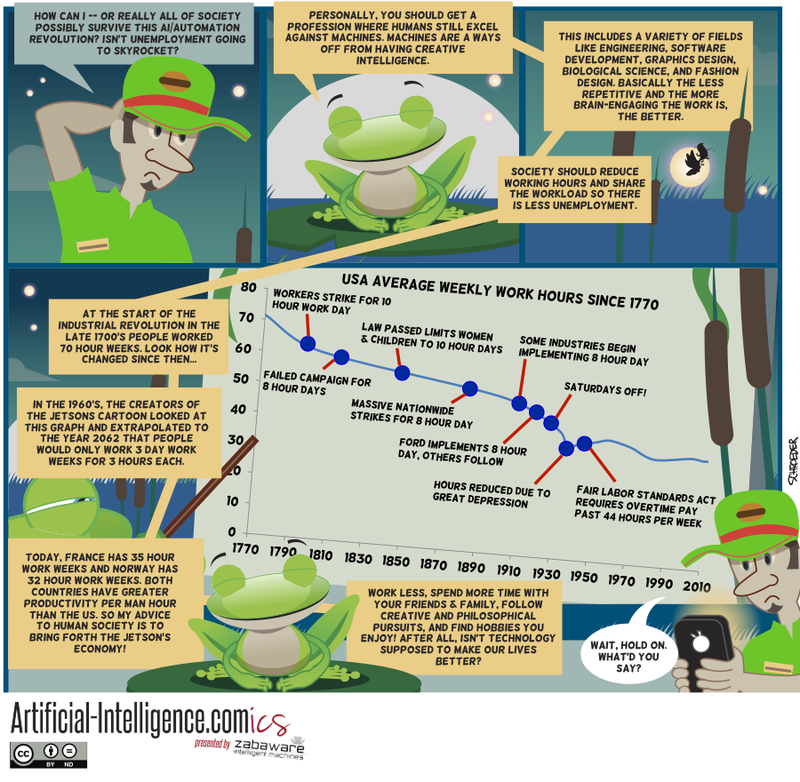 Concluding last weeks comic on automation and AI technology putting people out of work we look at a possible solution. In the 1700's people worked an average of 70 hours per week. Today it is 40 hours per week. Can we reap the benefits of technology to work less hours and share the remaining work and profits among us? By the way, what exactly do Norway and France produce with these man-hours? Cheese? Perfume? I'm pretty sure I've never bought anything from either country that was produced there.